Never have ventured far from home; didn’t go to college until 1991, graduated with a BS in nursing and worked 22 years at Methodist Hospital in their cardiac IMCU. Retired in 2016 and enjoy quilting, working in my yard and spending time with my children and grandchildren. 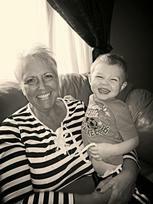 Jeanne Homan Hollan updated her profile. View. Jeanne Homan Hollan changed her profile picture.